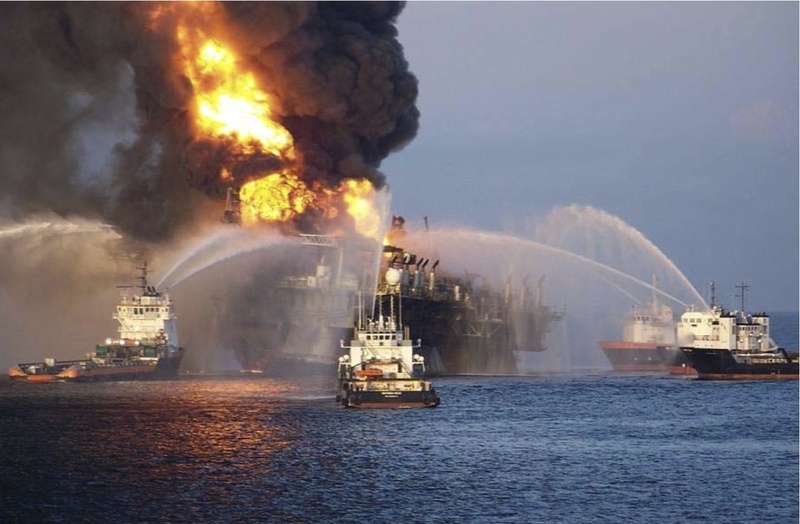 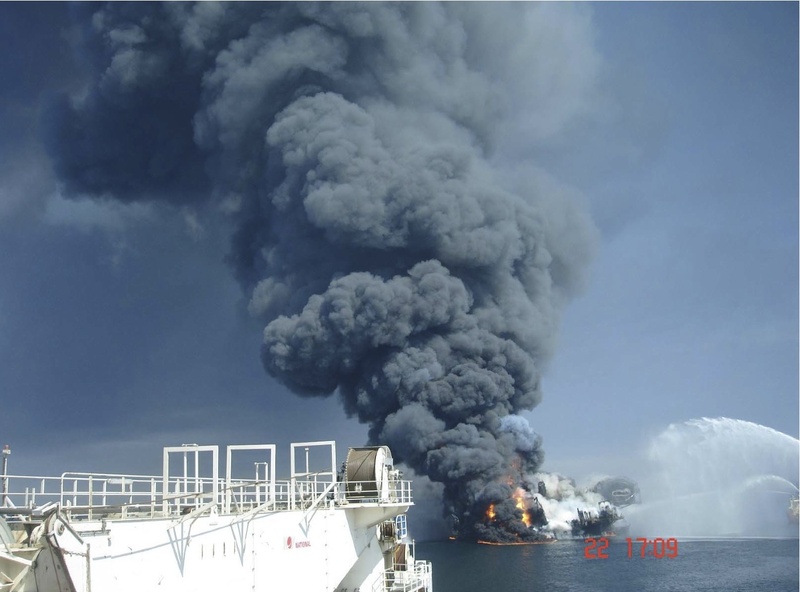 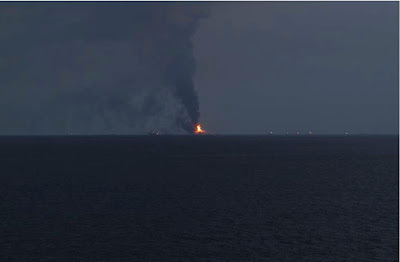 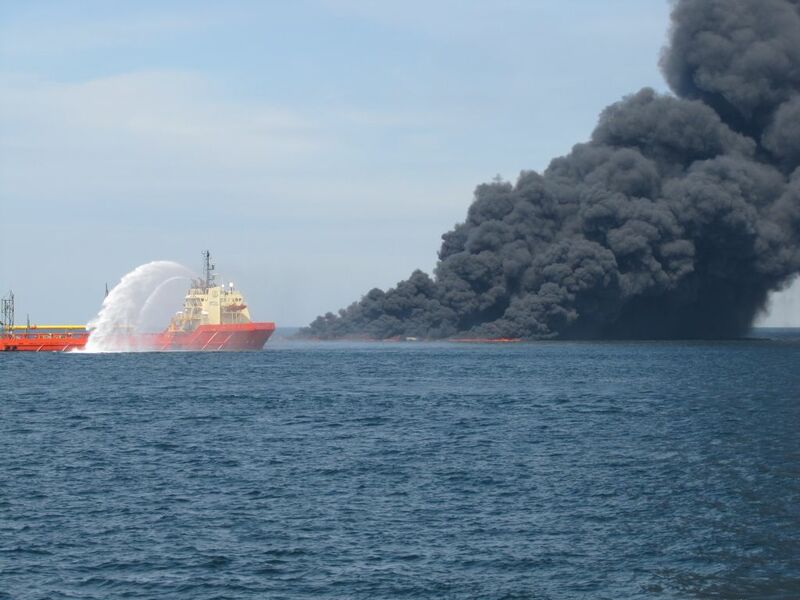 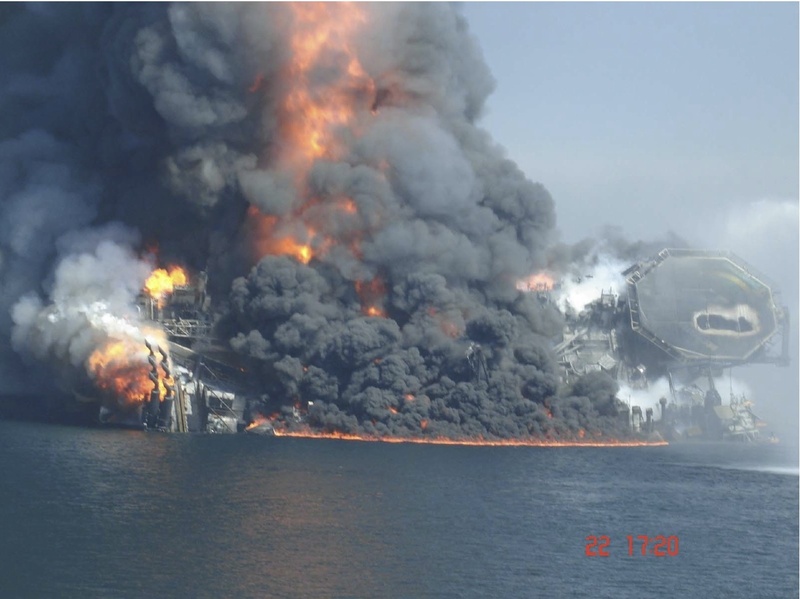 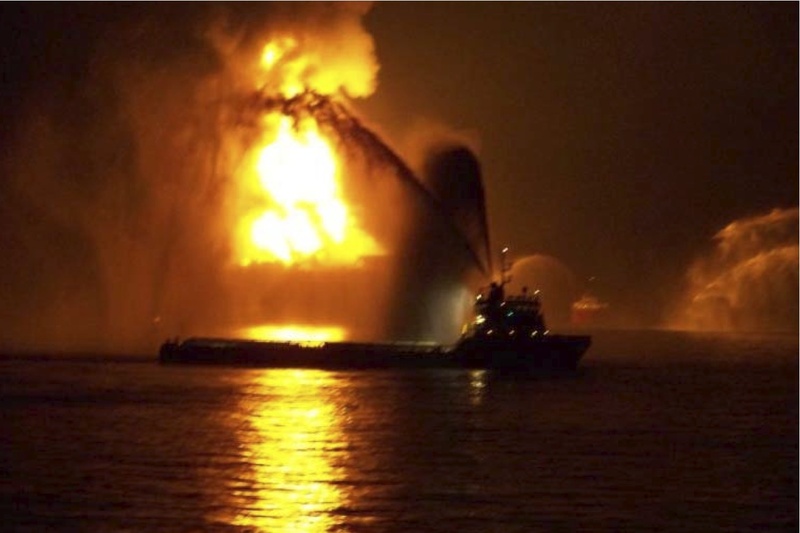 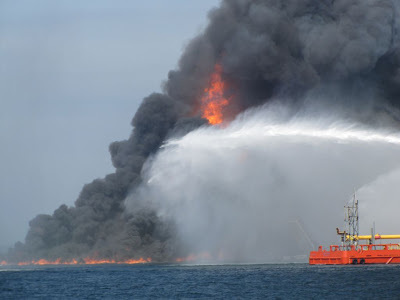 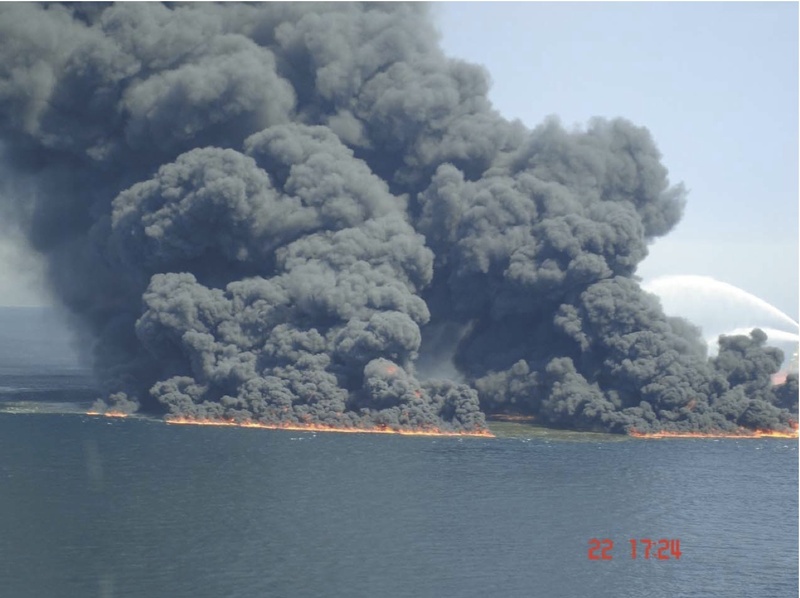 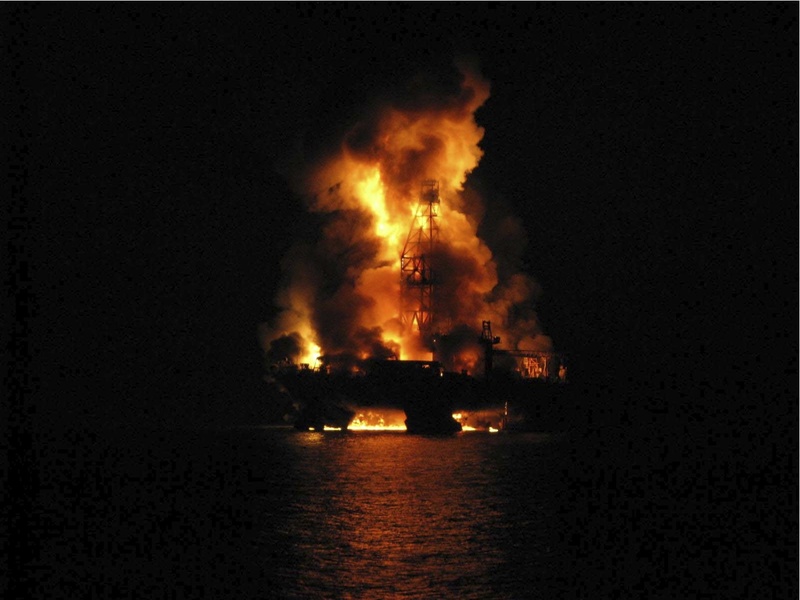 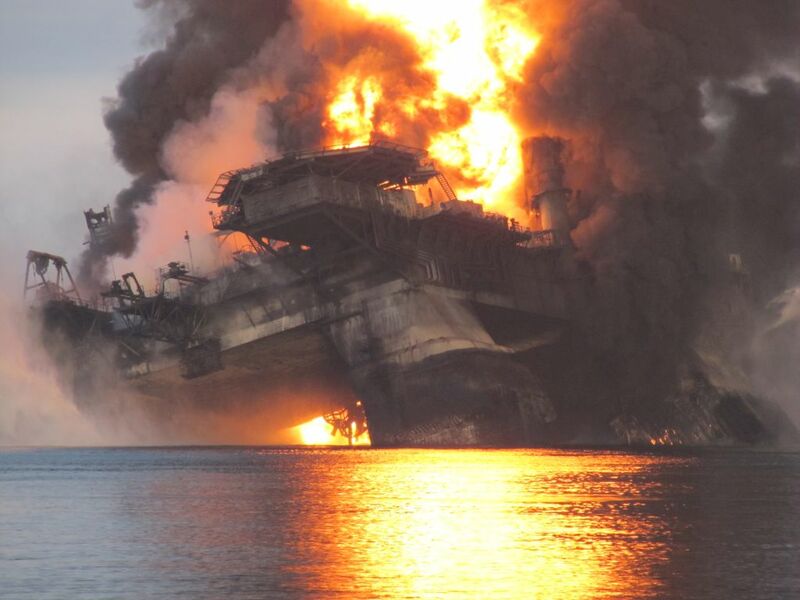 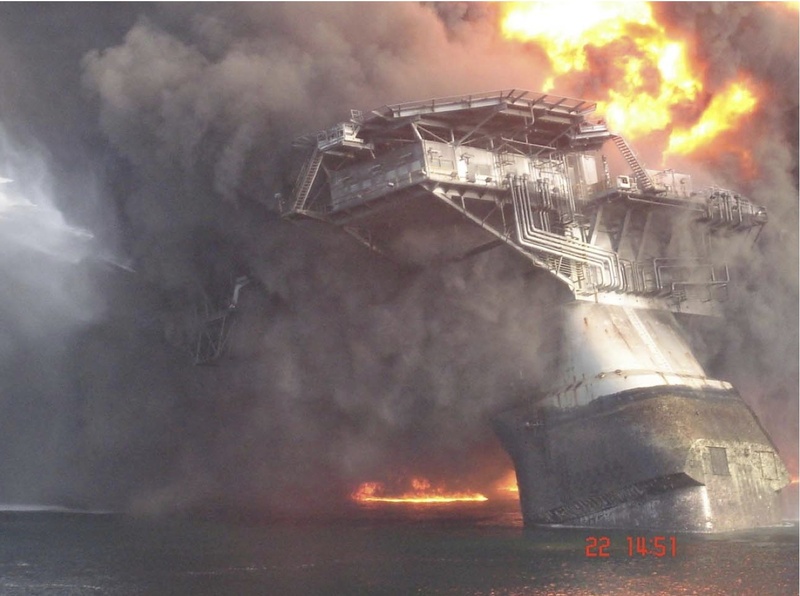 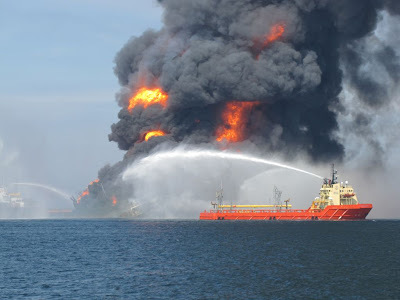 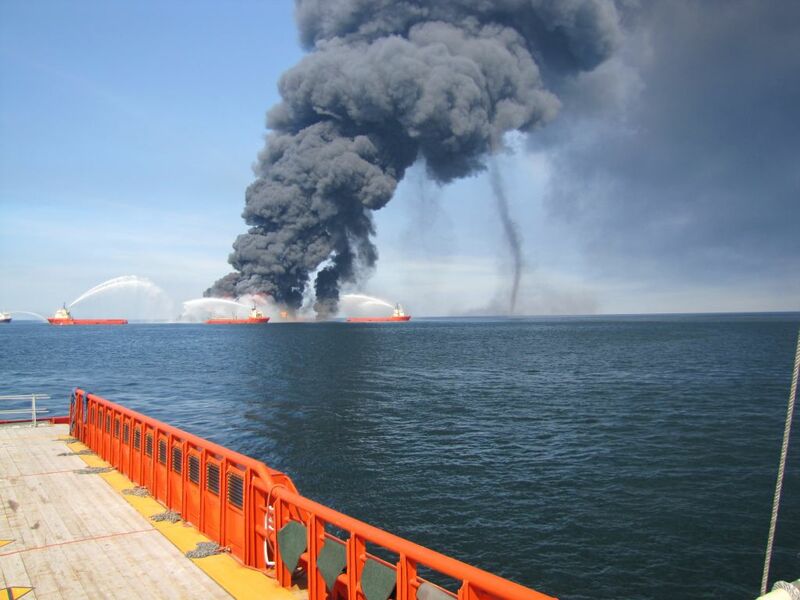 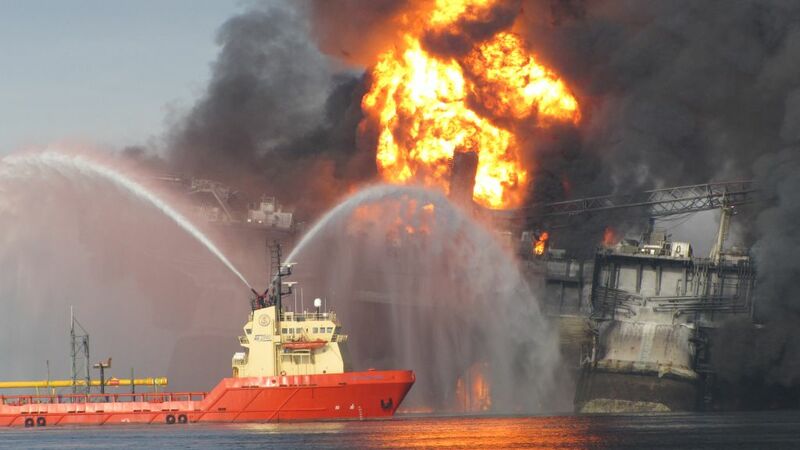 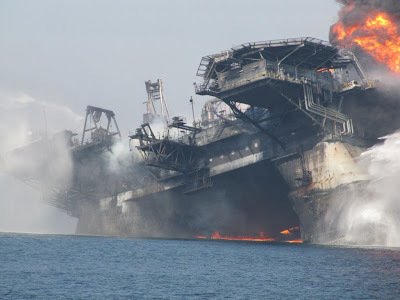 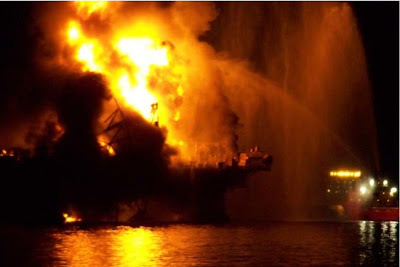 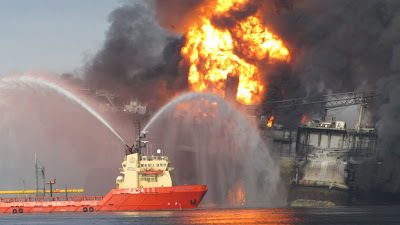 The Deepwater Horizon was one of the biggest news items of last year. Its fire and sinking produced some memorable images. 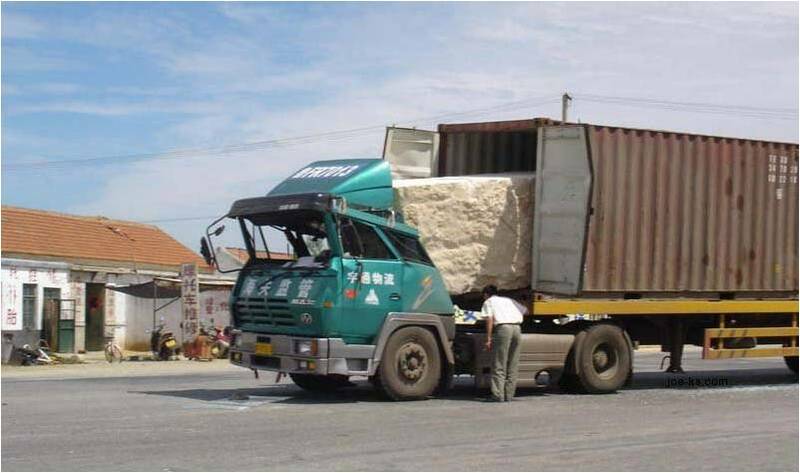 Over the next couple of weeks, I'll post some of them. 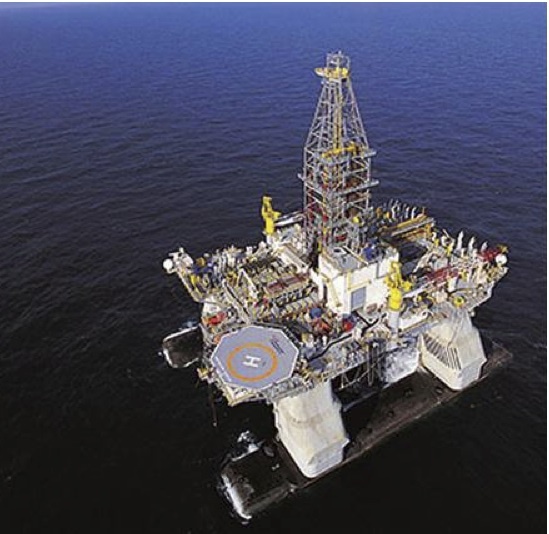 Another identical rig to the Deepwater Horizon. 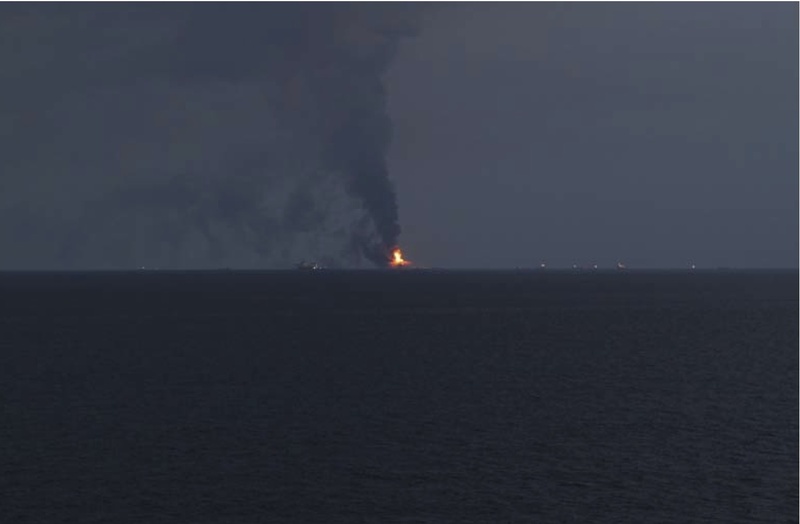 Early stages of the fire. 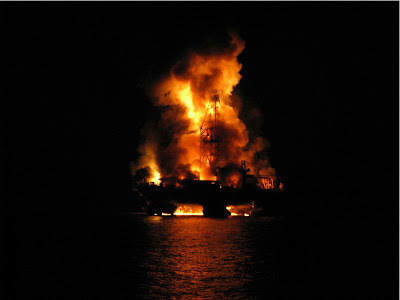 You can see that the mast is still up. 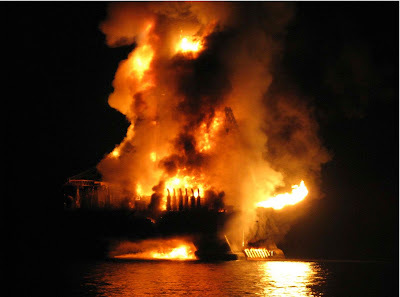 These shots are from the first night of the fire. 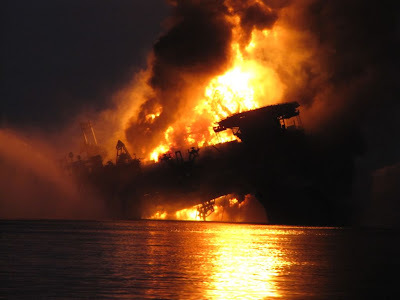 Dawn on the next morning.